Not long after we have ordered our meals at Pizza Hut City Mall yesterday, Clet spotted the banner says "Kids Eat Free Everyday" at the door. When the waiter came around to serve us the drinks we asked him what this promotion is about. 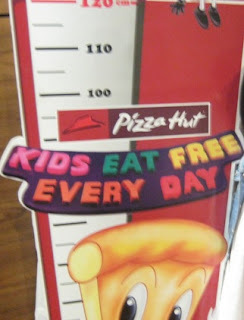 "Kids Eat Free Everyday" promotion started on 15 March 2012, I remembered we have been to Pizza Hut a couple of times since March this year but we only got to know it yesterday. ~ Valid for kids below 8 years old or below 120cm in height, whichever applicable. 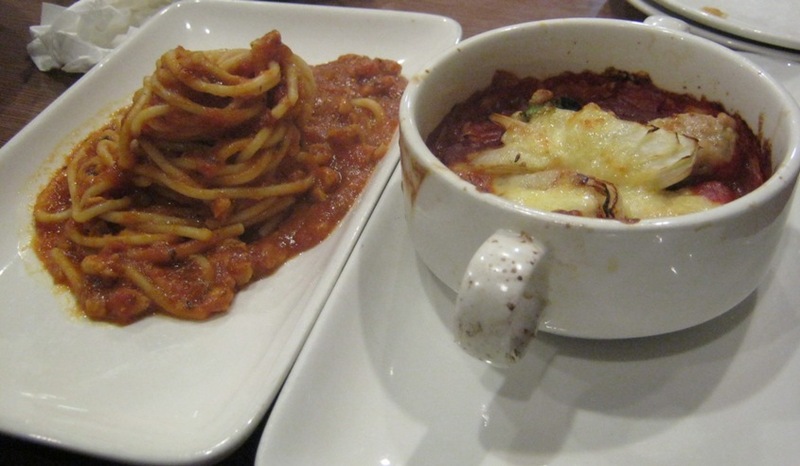 ~ Not available in Pizza Hut Genting Highlands. ~ Not valid for purchase of Group Party Packages. ~ Terms and Conditions apply. Our bill came up to more than RM40.00 that entitled us to claim for 2 "kids Eat Free" meals though Crystal is more than 8 years old and taller than 120cm in height. Wish I'd read your post earlier...We just had pizza hut for dinner last night and paid for two sets of kids meal...Haiz....Will take note for our next makan session there.